Tana hasn't connected with her friends on Goodreads, yet. 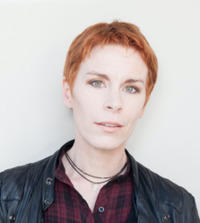 To ask Tana French questions, please sign up. I LOVE your books and am about to start The Secret Place. I am sure you have been asked this before, but are we ever going to find out, what happened "In the Woods"? This answer contains spoilers… (view spoiler)[ Thank you very much! The thing about In the Woods is that Rob Ryan is - possibly because of whatever happened when he was twelve, possibly just because…more Thank you very much! The thing about In the Woods is that Rob Ryan is - possibly because of whatever happened when he was twelve, possibly just because of who he is - the kind of person who's incapable of taking any irrevocable leap. Whenever he gets close to anything that's irrevocable, he runs as far and as fast as he can - he does it in his relationship with Cassie, for example. So when he gets to the verge of remembering what happened, that's what he does: he runs. 1 - Turn the narrator into a totally different character at the end of the book, for the sake of a neat plot resolution: shoddy and dishonest. 2 - Have some other character do a deus ex machina and find out for him: forced and cheap. 3 - Complete the arc of his psychological journey (which for me was the core plot arc of the book) and the arc of the modern-day mystery, but leave the old one unsolved. I went with the third one - because that was the one that was true to the character and the rest of the book, and because I always saw In the Woods as a book about Rob and what that old mystery resurfacing does to him, rather than a book about the mystery itself. I knew some readers would be furious that it didn't stick to the conventions of the mystery genre, and I could see why - but on the other hand, I also knew some readers would be furious if I sold out my narrator in the last chapter for easy closure. I figured all I could do was write the best book I was capable of writing, and hope it was good enough. This is a long-winded way of saying that, at the moment, I can't see any way I'd be able to resolve that mystery - again, the answer is in Rob's head, and his nature means that he'll never have the courage to take that leap and find it. But I haven't ruled out the possibility that I'll find a way to clear it up, somewhere down the line. 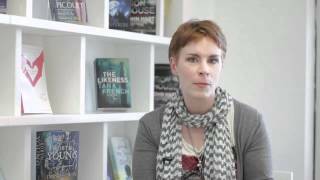 Why aren't more of your narrators female? All of your detectives are such real people that I can connect to each of them in different ways, but I would love to see a book of yours told from a female perspective again.